Pretty Vegas are a North West based 3-piece Wedding and Function Band, offering a unique mix of rock, pop and soul with a more rocking sound and energy than others in this field, whilst still playing the classic tunes that will are guaranteed to have the dance-floor bouncing. So if you are looking to have the energy of a rock band, harmonies of The Beatles, and the soul of The Commitments, we might just be the ones for you! We have tried to make this site as clear as possible for people looking to book Pretty Vegas for their event, be it a pub gig, birthday, Christmas party or Wedding. You can find photos, videos and we will be adding some audio very soon, along with seeing what sort of equipment we bring with us when we perform. Finally, we have Frequently Asked Questions to hopefully fill in the blanks. We have also set up and run a Wedding Band Blog also, to give you some idea of what goes on behind the scenes! 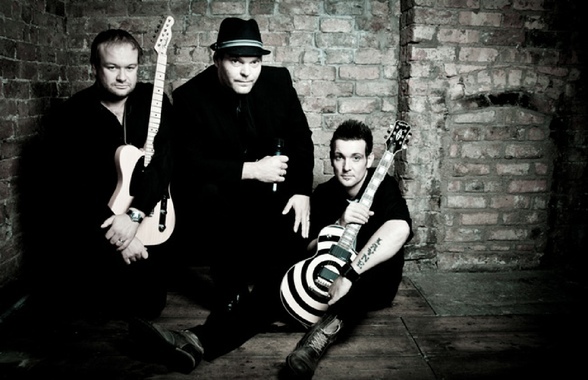 Pretty Vegas are an experienced Function Band / Wedding Band and and certainly know how to make your event go with a bang, so if you can’t find what you are looking for and want to know more, please get in Contact for more details. Hopefully you will see why Clients and audiences love our shows and keep coming back for more, and why we will help make the night a night to remember.